Plus, enter to WIN a signed baseball! 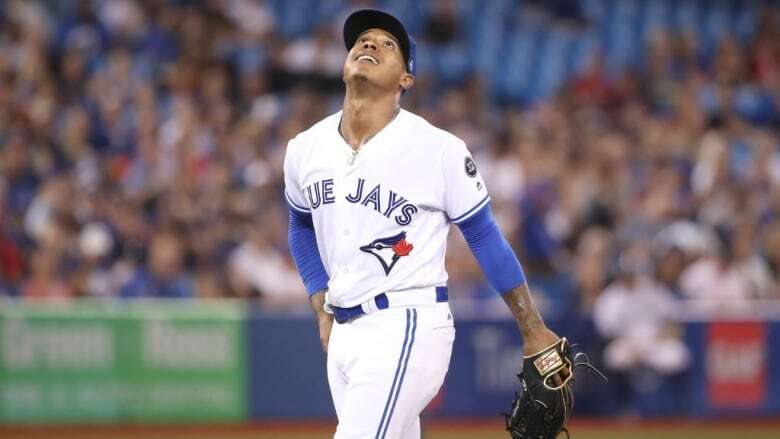 Pitching prowess may have been the thing that landed Marcus Stroman his starting position with the Toronto Blue Jays, but it's only part of what keeps every eye in the stadium glued to him whenever he's on the field. Though the 27-year-old's stats and MVP title are impressive, it's the unmatched exuberance of his every move — from strikeout celebrations to the way he beams when a teammate gets a good hit — that truly sets him apart. It plunges through the page when he talks about anything he treasures, like the city he now calls home, or his mom on her birthday. Though it's not the type of behaviour that's typically expected of a pitcher, Stroman has managed to make showing heart his shining feature. What started as a "personal mantra" in response to being deemed 'undersized' for his position (at 5'8", Stroman's stature is smaller than most who make it to the major leagues), the phrase "Height doesn't measure heart" has quickly become Stroman's mission statement. Acting as a constant reminder — to himself, his rivals and his fans — that physical size does not define character or the work one is capable of, it's etched in ink on his chest, printed on the sweatpants he sports and, in its hashtag form (#HDMH), accompanies almost all of his social posts. Stroman's commitment to living by those words is a big part of why he's partnered with AXE Canada to help combat toxic masculinity by erasing some of the harmful stereotypes that shape our understanding of what it takes to be a 'real man'. Of course, expanding our ideas about when and how men can show emotion and disrupting the notion that physical size determines one's worth are just two small parts of the equation. Still, "not [being] constrained by traditional definitions of what it means to be a man — I'm here for that," Stroman says. Check out our rapid fire interview with the star pitcher below, and scroll down to learn how you could win a baseball signed by Stroman himself. What time of day are you most inspired or productive? Between 11:30 p.m.-1:30 a.m. If you could have any superpower, what would it be? Teleportation. Favourite word or expression right now? Never panic, just manage. What are you most proud of? My college degree from Duke. What makes you nervous? Bugs. If you could come back as the child of anyone alive right now, who would it be? Denzel Washington. Favourite post-game food? Pad Thai. Your ultimate pump-up song? Drake. You have an entire weekend to binge watch something — what's it gonna be? Power, Billions, or Ozark. What posters did you have in your childhood bedroom? Allen Iverson. What's something the internet doesn't know about you? I always have a candle lit in my house. What's your favourite possession in your home? My buddha. What's the best thing you've eaten in recent memory? Prince Street Pizza in New York. Where is your favourite place on earth? Lake Como. Want a chance to win a baseball signed by Marcus Stroman? Enter now.